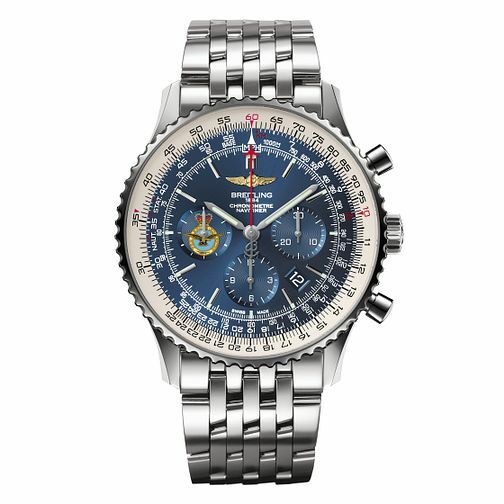 Take to the skies with this limited edition watch born from Breitling's partnership with the RAF. As a COSC-certified chronometer for aviation, or for a watch where excellence is mandatory, this special edition of the iconic Navitimer 01 series, inspired by the 1950s model and features a chronograph style with MPH and and KM indicators on a navy blue dial. The RAF crest features on one of the subdials to mark it as a unique piece.